Block out the glare with the Oxford Ultra Vison Visor Insert. 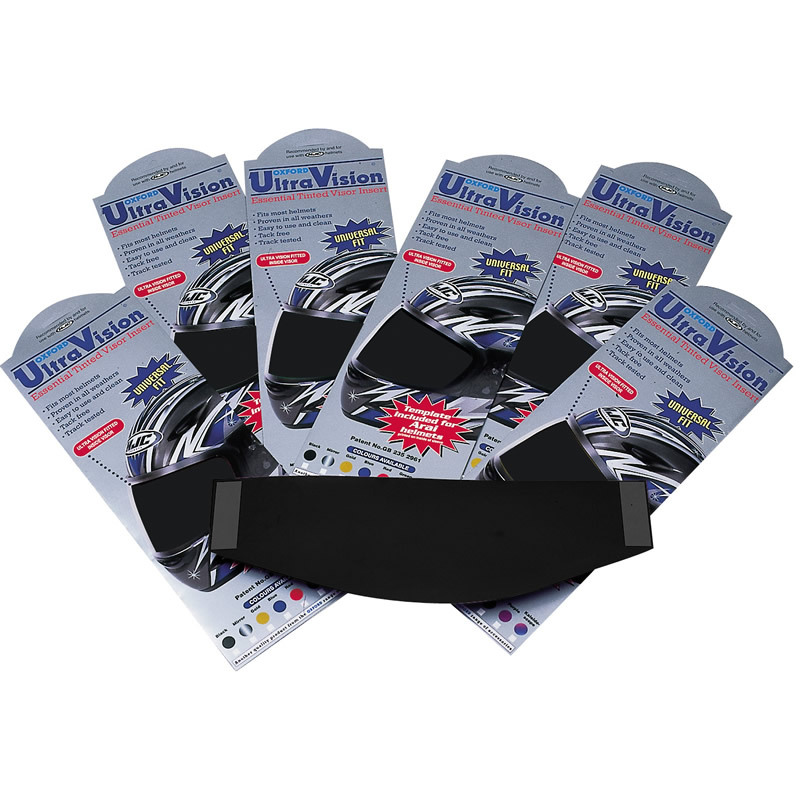 These are a 100% universal visor insert which is guaranteed to protect both your eyes and face from the sunlight and UV Rays. Get yours from ghostbikes.com today! The Oxford Ultra Vision Black Visor Inserts are packed with features.. The Oxford Ultra Vison Tinted Visor Inserts are available in black.